Highway Buses in Japan are a cheaper alternative to taking trains and if the travelling time to get to your destination is almost similar for both rail and bus, I will choose the latter as you can save quite a fair bit of money. In this instance, the highway bus ticket from Shinjuku to Fuji-Q Highland or Lake Kawaguchi costs ¥1750 as at the date of this post, but taking the train will cost between ¥2080 to ¥4650 depending on which trains you are taking (i.e. fast/slow, reserved/non-reserved seating) and the number of times you’ll need to change trains. Do note that the Japan Rail Pass is not valid on these highway buses and you’ll need to buy a separate ticket. If you have already purchased a Japan Rail Pass, then it’s a no-brainer to take the JR trains to maximise your pass. Both the Fujikyu and Keio Buses operate one to two direct buses per hour from Tokyo’s Shinjuku Station (Keio Highway Bus Terminal) to Kawaguchiko Station in the Fuji Five Lakes region. The one-way journey takes close to two hours and most buses will stop at Fuji-Q Highland before arriving at Kawaguchiko Station. Reservations are required for the Highway Buses and this can be done on-site at the bus terminal, by phone or online. 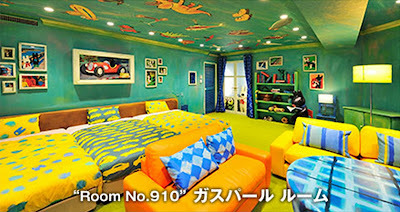 For online reservations, click here (in Japanese only). If you need help to search for the route「新宿~富士五湖線」, click here where I have already entered the search criteria to board from the bus terminal in Shinjuku. Locating the Keio Highway Bus Terminal「新宿高速バスターミナル」- it is opposite Yodobashi Camera on this map. Try and collect your tickets at least one day before your date of departure, so that you don’t have to rush on the actual day (in case there is a long queue) and also to familiarise yourself with how to get there. I’m sure you wouldn’t want to get lost navigating the streets to locate the bus terminal on your departure day and miss the bus! 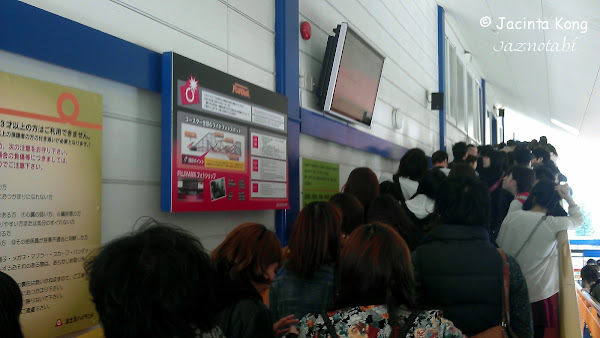 When you get to the ticket office, please take a number and wait for your turn. On the day of your departure, look out for the correct bus bay for your destination. The bus departure times and their destinations will be displayed on the digital signboards. Lastly, to ensure that you have boarded the correct bus, the destination will also be displayed on the TV screen located at the front of the bus. 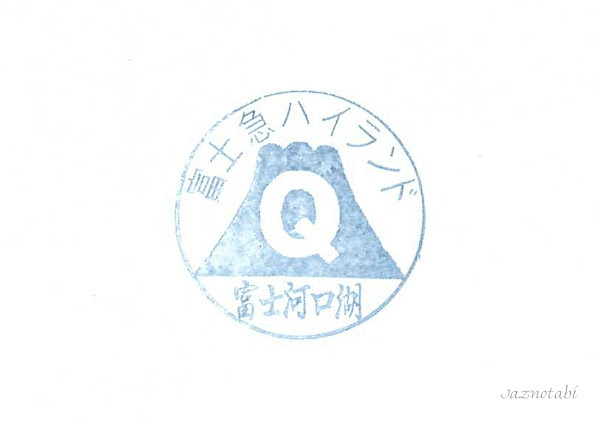 For those planning to visit Fuji-Q Highland, you will alight at the Highland Bus Station「富士急ハイランド」. This is located on the left of the parking area at the Highland Resort Hotel & Spa, which is near one of Fuji-Q Highland’s entrances. Those who want to explore the Lake Kawaguchi area should alight at Kawaguchiko Station「河口湖駅」. If the weather is clear, you should be able to see Mount Fuji behind the train station building. Unfortunately if it is a rainy day, the mountain will be totally hidden in the clouds. The picture above was taken in the early afternoon and on a somewhat rainy day. Usually the clouds will start to descend from mid-morning onwards, so the best time to take good pictures of Mount Fuji without much cloud cover would be in the early morning. 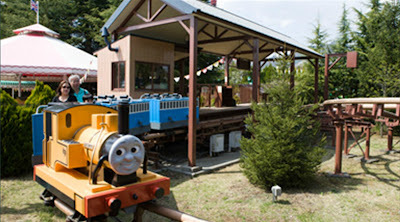 This final post features “Thomas Land”, eating places within Fuji-Q Highland, “La ville de Gaspard et Lisa”, the Fujiyama gift shop (largest gift shop at the park) and details on how to get to the theme park. 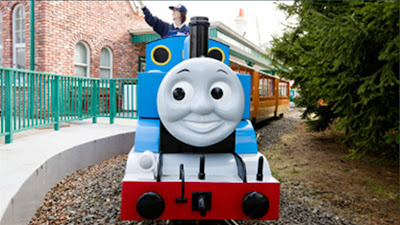 This area is more for kids, especially those who are fans of the famous tank engine. There are quite a number of photo spots and many kid-friendly rides, so if you know my ride preferences by now, I didn’t try any of the ones in this area! Thus, this last post on the theme park is more of a photo tour! As a result of wandering around without looking at the map (plus the fact that I wasn’t into kiddy rides), I missed photographing the next 2 attractions! Oops!! Special-edition Thomas the Engine goods can be found here. Castella sponge cakes in the shape of Thomas are sold here. A fast food restaurant serving a variety of lunch meals, snacks and drinks. This place serves drinks and popcorn in original cups. 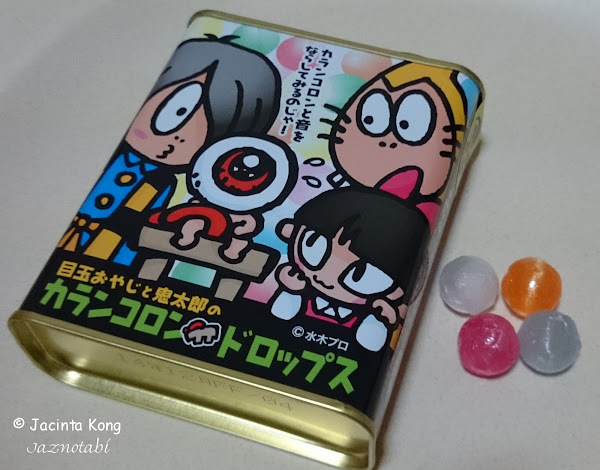 Special-edition Thomas Land chocolates can be bought here. There are 2 burgers being sold at this theme park which cannot be found at any of their other outlets – one of them can be found at Mos Burger and other at Lotteria. The specialty burger here is the Fujiyama burger – you can order it on its own or as part of a set (with fries and a soft drink). Place your orders at the counter on the extreme right, then collect your food from the counter on the left when your number is called (note that they only read out the numbers in Japanese!). Pizza-La – Pizzas and soups are sold here and the popular item here is the Fuji-Q Highland original “Tondemina” specialty pizza. Restaurant Bohatei – This is designed to look like a beach house as it is situated in front of the Great Zaboon. They serve a selection of rice bowl dishes, including bbq. Ice-cream, okonomiyaki, takoyaki and yakisoba can be bought at this outdoor snack shop located in front of the Fujiyama coaster. You’ll need to first purchase a ticket from the vending machine, then pass the ticket to the person at the counter, who will prepare your food. Food Stadium – This place is like a food court and many food stalls are housed in this building. Local specialties of Yamanashi Prefecture like Yoshida udon and Houtou noodles are popular with diners here. Lotteria can be found on the 2nd floor and it’s the other place with a burger (Fuji-Q Burger) that is unique to this park only. I didn’t try this as we were already stuffed from lunch, plus we had already booked a mini kaiseki dinner at our hotel, so we had to leave space in our tummies! I wonder if not many people patronise this place, since there’s a sign outside saying “Non-dining customers are also welcome”! I “parked” my hubby here whilst I went to queue for Takabisha. Haha…well, at least it’s indoors and out of the cold!! My hubby discovered something strange in the Male Toilet located just across from the Food Stadium – LOL…is this supposed to be a photo spot?!?!? Game Stalls can be found just across from the Fujiyama coaster and they are disguised as old-fashioned food stalls. Upon closer inspection, the fun-fair type games available here are really from a nostalgic era. Located just outside Fuji-Q Highland adjacent to the Highland Resort Hotel, this area is decorated to resemble a French village and you can even pose for pictures with a scaled down version of the Eiffel Tower! Admission is free, but there are 2 kiddy rides available here which you’ll have to buy tickets for if you wish to ride them (the Free Pass can be used for these rides). For those who are unfamiliar, Gaspard (the black dog with a blue scarf) and Lisa (the white dog with a red scarf) are from a popular kids’ animation series which centres on two canine friends who go on various adventures. Gaspard and Lisa motifs can be found here. Posing with the Eiffel Tower. 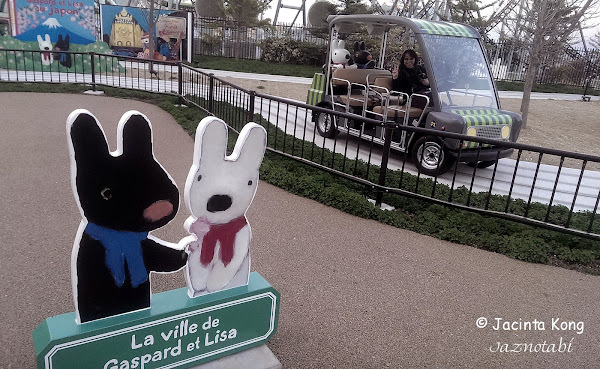 It is essentially a family-friendly ride and Gaspard and Lisa are back-seat passengers in the ride vehicle. 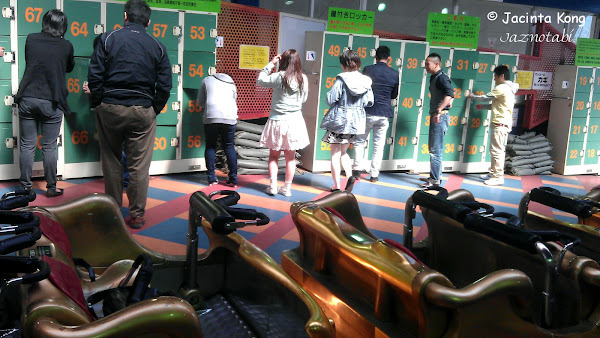 There are different coloured ride vehicles. Basically this ride will take you through various scenes from the book series. Gaspard and Lisa themed shops, bakeries and food stalls can be found at this Parisian street. Look closely at this shop’s name and you can find Gaspard and Lisa motifs! There’s a museum on the 2nd floor (Admission is free), so we went to check it out! Some of the exhibits include autographed drawings from Anne Gutman and Georg Hallensbelen, the creators of the book series. Limited edition goods are sold at the shop! There are limited edition cakes and food being sold at this cafe! Cookies shaped like Lisa and Gaspard can be bought here. This stall sells steamed meat buns, soups (corn and minestrone were available that day), hot coffee and hot wine (hmm…interesting). Here’s other stall which sells sausages, bacon and fried chicken and somehow this one seems to be more popular. 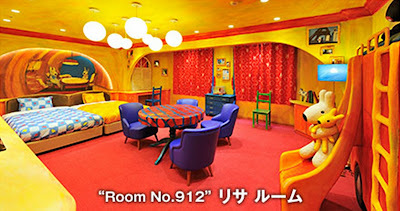 Die-hard fans can check-in to the Highland Resort Hotel which has Lisa-themed and Gaspard-themed rooms. In addition, there is also a Lisa and Gaspard themed restaurant located on the ground floor of the Highland Resort Hotel. This is the theme park’s biggest gift shop and it’s located outside the park. You can find souvenir items related to the theme park, as well as items from the surrounding region (e.g. 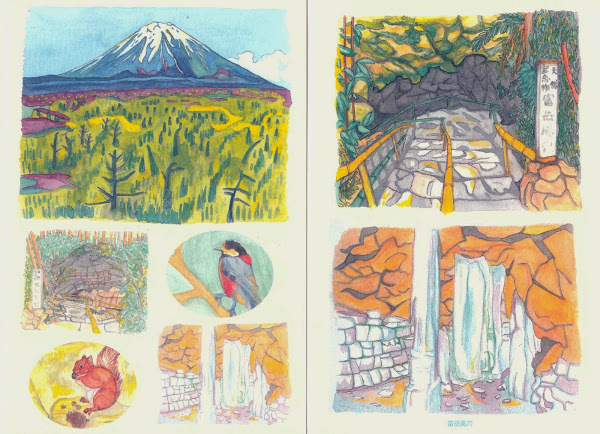 Mt Fuji mementos). Reservations are required for the Highway Buses. From Shinjuku’s West Exit Highway Bus terminal, board the Highway Bus headed for Kawaguchiko「河口湖」 or Yamanakako「山中湖」 and alight at Kawaguchiko Station「河口湖駅」. From Shinjuku take the JR Chuo Line「中央線」, change at Otsuki station「大月駅」 to the Fujikyu Railway「富士急行線」 to Fujikyu Highland Station「駅」. The bus departs from Abenobashi Station (JR Tenno Area) and arrives at Meishin Ibaraki, Takatsuki and Hachijo Exit of Kyoto Station. ■ Take JR Tokaido Shinkansen to Shin-Fuji Station. ■ Take JR Gotenba Line to Gotenba Station. ■ Take JR Tokaido Shinkansen to JR Mishima Station. ■ Take JR Chuo Main Line to Kofu Station. ■ Fujikyu train line from Kawaguchiko station to Fujikyu Highland station, which is just one stop away. ■ Retro Bus (red line) from Kawaguchiko station to the Highland Resort Hotel bus stop. Length of time to complete: Approx. 50 min. This is supposed to be the scariest and longest horror house in the world to navigate through and its setting is in a haunted hospital! I don’t really believe in paying to get myself scared, plus my hubby didn’t want to experience it and I wasn’t planning to navigate the world’s scariest horror maze all by myself, so I didn’t enter. This attraction is based on the popular Japanese anime about a bunch of spirit-monsters. I decided to try the attraction here where you sit in a dimly lit room, put on a set of headphones and all the lights will be turned off when they start the audio show. You can see cardboard cutouts of the characters from the anime as you walk along the path around the back of the “house”. I entered, sat myself down and they started the audio show. It was totally pitch black in the room and I was all alone. The show’s dialogue is completely in Japanese and you can hear the voices of the characters from the anime. There were some eerie parts where the voice of the youkai will send shivers down your spine and the sound of the heavy breathing in your ear feels like there is really something or someone behind you and breathing down your neck! I must say the audio is pretty good! The show exits into a souvenir shop where you can find limited edition souvenirs related to the anime. Fans of this youkai anime will recognise the statues of the characters found in this area. Konaki-Jijii (子泣き爺, “Little Crying Old Man”) is the first youkai you’ll see when you arrive. …and finally, I just had to tell Nezumi-Otoko (ねずみ男, “Rat Man“) not to be a slacker and to go man the souvenir shop. This is a walk-through attraction set up as a labyrinth in a huge fortress with mission tasks to clear in order to escape. Length of time to complete: Approx. 20 min. The objective is to try to work through a labyrinth of countless doors, corridors, and rooms and strict security set up within the fort and make it out within the time limit. There are different stages inside, with the stages becoming increasingly difficult as you progress through the fort. Each stage is full of hidden clues, secret doorways, and other traps and contraptions all designed to trip you up. This is not the type of maze that can be cleared by merely fumbling around in the dark. Only those who posssess the knowledge, memory power, physical strength, imagination, and most of all, luck will be able to persevere to the end and earn the rank of “Sucessful Escapees” and will be given a prize to recognize their achievement. I didn’t try it as I wasn’t sure if I would have problems deciphering the clues due to language issues. Fans of the popular animation film series, Neon Genesis Evangelion “Rebuild of Evangelion” will probably want to visit this attraction which is filled with a variety of things from the world of Neon Genesis Evangelion, including the first 3-D life-sized scale model of the “General-purpose, humanoid battle weapon, the Cyborg Evangelion Unit-01” ever built, a life-sized reproduction of the cockpit of an Evangelion, a scale model of “Kaworu Nagisa,” and other items. I don’t follow this anime, so I skipped this. This should be quite a relaxing ride which you can take to enjoy the surrounding scenery, especially if Mount Fuji isn’t hidden behind clouds. My hubby wasn’t keen on doing this so we just snapped a picture of the giant ferris wheel. This rotating swing is the kids’ version of TEKKOTSU BANCHO「鉄骨番長」which I had mentioned earlier in Part 1. It’s actually a viking ride, aboard this ship decorated with cute Hamtaro characters. Hmm…I’m not sure why I forgot to photograph this! Basically you will need to pedal your ride vehicle around an elevated track. This shop sells character merchandise from popular kids’ anime. Continue reading » Part 3 (Thomas Land, La ville de Gaspard et Lisa). 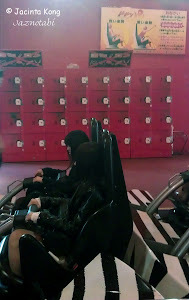 Return to » Part 1 (Thrill Rides). After hearing about Fuji-Q Highland「富士急ハイランド」 for many years, I finally made a trip there to satisfy my roller coaster fix! This theme park has 4 extreme roller coasters which each got their names into the Guinness Book of Records and it certainly sounded like a major adrenaline rush was in store for me! Of course besides the rides that I’ve mentioned, there are other attractions and rides which are suitable for those who prefer something less challenging. 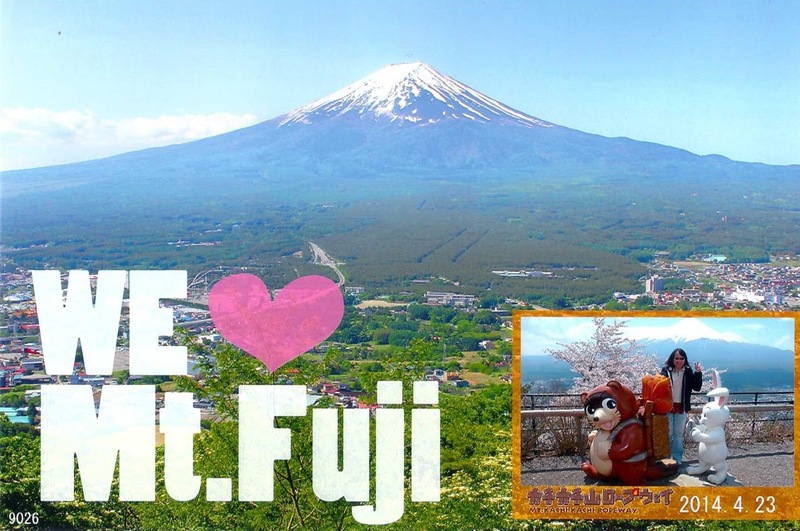 I will be splitting this Fuji-Q Highland write-up into 3 posts as I have close to 200 pictures and there are just too many attractions to be featured in a single post! However, I must clarify that I didn’t have time to experience all of the attractions (I had my fixed priorities! LOL..) as most of my time was spent queuing for the rides that I most wanted to get on. However, I did manage to walk around the park to take photos of the various attractions (where possible) so that you can get an idea of what to expect if you decide to visit this theme park. Part 1 features the entrance to the park, different types of tickets available and the “Screamer” attractions (i.e. Thrill rides). Part 2 showcases the “Horror“, “Challenge & Happy” and the “Kids” attractions. Finally, Part 3 tells you more about the themed zones “Thomas Land” and “La ville de Gaspard et Lisa“, eating places within the theme park, the park’s biggest gift shop Fujiyama and directions on “how to get to the theme park. Visitors can buy a basic admission ticket (¥1400) which doesn’t include rides and then buy separate tickets in the park for those rides that you want to experience. 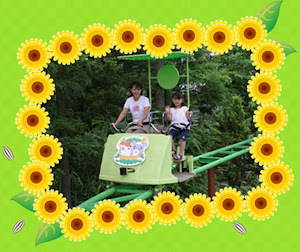 The good thing about this basic ticket is that if you have friends or family who are accompanying you but don’t want to take any of the rides, they can buy this ticket which is cheaper. If you are staying at Highland Resort Hotel, each guest is given free entry to the park for the duration of your stay (i.e. complimentary basic admission ticket) as shown below. 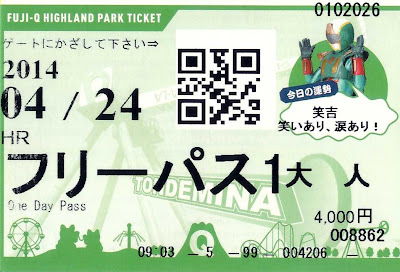 Alternatively, you can buy a “Free Pass” (¥5200), which includes both admission and unlimited rides (except those marked as not applicable to Free Pass holders) – I find this more convenient than having to buy separate tickets for each ride. Just work out which type of ticket is most cost effective for you. My ticket below was at a discounted price since I was a hotel guest. Entrance leading to Fuji-Q Highland from the Highway Bus Stop / Fujikyu Highland Resort Bus Stop. This door actually leads into a huge gift shop and you’ll need to walk through it to get to the main entrance of the theme park. Just before you enter the gift shop, lockers are available for rent if you need to store any bulky items (e.g. luggage) which you do not intend to bring into the park. Along the way, you will also pass through La ville de Gaspard et Lisa but I will talk more about this area later in Part 3. For my first ride of the day, I decided to take it easy and challenge the King of Coasters, FUJIYAMA as this seemed like the mildest ride out of the 4 extreme coasters. Complimentary lockers are available at the ride platform for you to store your valuables and loose articles before going on the ride. Remember to take the locker key with you and don’t drop it during the ride! For a limited period, the Fujiyama coaster track will be illuminated after dark. I think it would be fun to ride the coaster in the dark with the track being lit! Unfortunately during my visit, it was still daylight when the park closed (at 6pm), thus I didn’t get a chance to experience taking the ride with the night illumination, but I did get some pictures of the track at night (not all sections were lighted up as shown on the poster)! 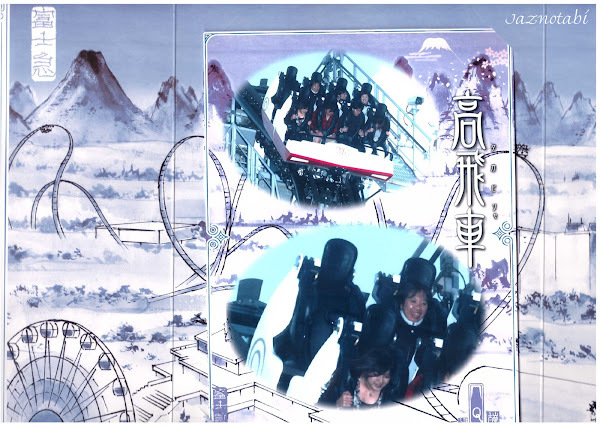 Non-thrill seekers can pose for pictures with Air Fujiyama, located opposite the entrance to the Fujiyama coaster ride. There’s a button for you to activate the fan, which will blow wind into your face to simulate the look and feel of riding the actual coaster! (and no, I didn’t try it but I saw some people who did) The button can only be activated after you have sat down in the vehicle, so you’ll definitely need someone to help with this. 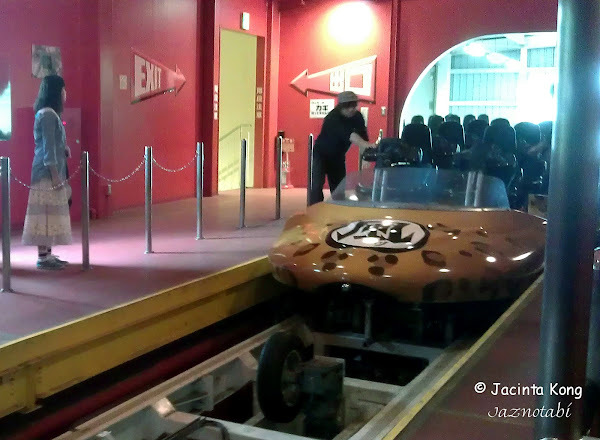 Next, I headed over to Eejanaika and you’ll need to walk through this area to get to the building which houses the ride. It certainly feels like you taken a walk back into the past as this place has the look of a traditional Japanese street scene. There’s a shop selling ride merchandise, as well as local specialties of the region, some of which are items which are only sold here and cannot be found elsewhere. …and also fortune telling machines which will dispense your luck on a strip of paper! This was the 2nd coaster which I went on and based on what I had heard about this ride, it sounded like I would probably experience the feeling of being trapped inside a washing machine, as you may experience up to 14 inversions on this ride! The waiting time was about an hour, even though the sign said 40min! Eejanaika is the world’s second 4th dimension roller coaster and throughout the ride, riders will go through up to 14 inversions and most of these inversions are accomplished by the seats rotating forward or backward 360 degrees, rather than actually inverting the track. 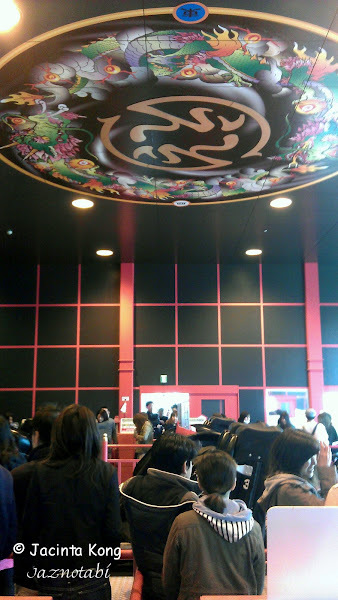 There’s a colourful mural encircling the words ええ (pronounced as ‘ay’ or ‘eh?’) found on the ceiling at the ride platform. Snapped a quick picture using my mobile phone before going on the ride. Oh boy…this was the first climb on the ride and you’ll ascend facing backwards, so this means that you can’t see the first drop!! I went down backwards and my seat itself also did a flip – it was so confusing!! 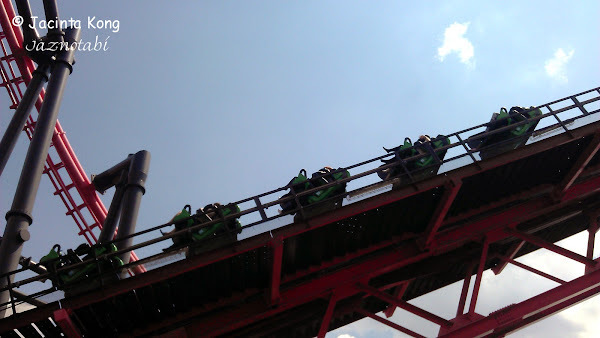 Initially, I was rather apprehensive about taking this ride as I wasn’t sure if I would be able to handle so many inversions and was expecting myself to end up feeling giddy and nauseous after the ride. Thus, I decided to take this coaster before going for lunch (just in case!) but the ride wasn’t as bad as I thought it would be! I even considered taking it one more time if not for the long queue and other rides which I had yet to experience! This coaster has won records for fastest acceleration and fastest roller coaster in the world! 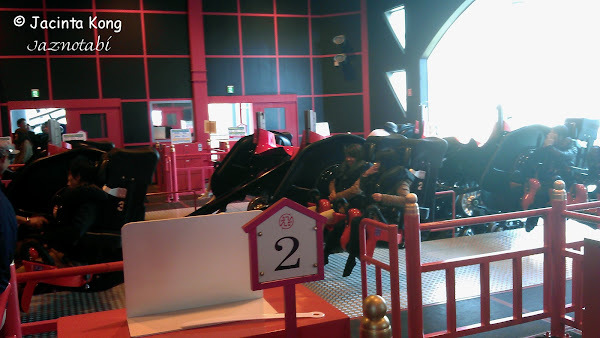 There were two different ride vehicles being used. Here are the two different ride vehicles going around the track. This coaster is still the current record holder for the world’s steepest roller coaster, with a 121 degree, beyond vertical drop. The climb to the top is at a 90-degree angle and you are literally lying on your back and moving upwards, so the only thing you’ll see is the sky! I survived!! It wasn’t as scary as I thought it would be – perhaps it was because I was seated at the extreme right of the second row and couldn’t really see the drop as my view was blocked by the people in the front row. This is the souvenir shop which the ride exits at and also where the ride photos can be purchased from. Finally, a ride photo that looked right although it was rather unglam! This ride looks scary but is actually more like a swing to me (i.e. like a pendulum), so it can’t really be compared to the 4 extreme coasters. This was a nice relaxing ride by my standards, where you can sit back and enjoy the view, although the initial drop may be a bit daunting for some. Some lucky riders will be seated on the side which faces Mount Fuji, so they can enjoy the scenery on a clear (and cloudless!) day. This ride rotates according to the movements of a clock and is probably one of the rides in the park which may make you dizzy. You can see the ride in action in the background of the next picture. I thought it was funny as there was a recommended 告白 spot here! What do you think – would you profess your love to your girlfriend/boyfriend at this spot in the middle of the theme park?? It was a cold day and I forgot to bring a poncho with me, plus I didn’t want to get my winter coat soaking wet, so I decided not to go on this one. I have to say that this particular ride really creates a big splash! I’ve never seen a water ride which disperses such an enormous spray of water!! Be warned – spectators are also in danger of getting soaked! Watch the video and see the people running for cover! There are 2 huge manekineko「招き猫」 here which look quite cute! However, as mentioned earlier, I felt the weather was too cold for water rides and thus I skipped this one too. It looked like fun though! This was under maintenance during my visit and it looked like a kiddy coaster to me. » Part 2 (“Horror”, “Challenge & Happy” and “Kids” attractions). » Part 3 (“Thomas Land”, “La ville de Gaspard et Lisa”, Fujiyama gift shop, plus directions on how to get to the theme park). Past eruptions of Mount Fuji had created several caves around Aokigahara Jukai「青木ヶ原樹海」 in the vicinity of Lake Saiko「西湖」 in Yamanashi Prefecture, Japan. 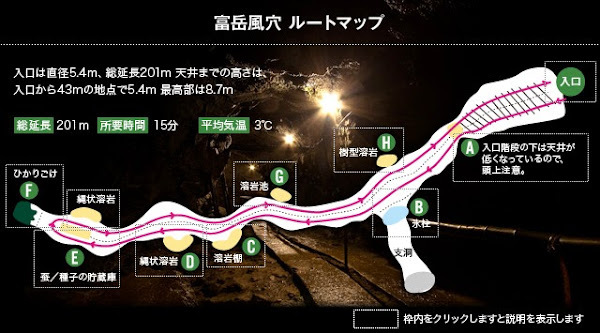 Three of the caves, the Narusawa Ice Cave, Fugaku Lava Cave (also known as Wind Cave) and Bat Cave, have been developed to be easily accessible to tourists. I decided to go check out some of the caves but as I was on a tight schedule, I only visited the Wind Cave and the Ice Cave, due to the fact that they are within walking distance from each other. The Fugaku Wind Cave is horizontal and is 201m long, whilst the Narusawa Ice Cave is concentric-vertical and is 153m long. These caves are designated as Japan’s natural monuments and even during mid-summer, visitors can see ice in the caves! When you alight from the bus stop, you will see this building 森の駅「風穴」, which houses the gift shop and a small cafe. Turn to the right of the building and the Wind Cave is just a 2 min walk from this point. This is the main entrance to the Wind Cave and you can even buy a ticket which covers admission to both the Wind and Ice Caves (i.e. if you want to visit both). You’ll need to descend this flight of steps to enter the cave. There were several warning signs asking visitors to watch their step and heads! If you look carefully, you may be able to see some ice on the floor of the cave…so you’ll need to tread carefully! Gosh…I think this is my first time seeing blocks of ice in a cave!! More ice…and I can’t understand what that sign says in Japanese! The temperature in this cave is cold enough to be a natural refrigerator. I looked at some of the containers and they stored several items from biscuits to plant seeds! Lighting was rather dim and water kept dripping from the ceiling so I didn’t take many pictures in here. According to the signs, these are lava pools. Ok…that was the end of our exploration of the Wind Cave – it’s a relatively easy walk which takes about 15 min to complete. Once you exist from the turnstiles at the Wind Cave, turn right and follow the path through the Aokigahara Jukai「青木ヶ原樹海」forest (its name translates to a sea of leafage) and it will take about 25 min to reach there on foot. It is indeed a sea of leaves as that’s mostly what you’ll see throughout the walk! Stay on the path and keep a lookout for the directional signs to make sure you are headed in the right direction. This is quite picturesque and it kind of reminds me of a scene out of Princess Mononoke or similar anime. Even during the summer, the temperature in the Ice Cave usually stays below freezing. Consequently the cave has been used since the early 1900s to store ice for use around the year. The circular walk through this cave is not very long, but contains passages with low ceilings and slippery stairs. It will take approximately 12 min to complete the exploration of this cave but give yourself more time if you walk at a slower pace or want to stop at certain sections and take more pictures. Hard hats are provided just after the entrance turnstile and we each took one (just in case!). It’s stated that the temperature in this cave is zero degrees celsius! I must be out of my mind to go exploring in a cave at this temperature!! More signs and warnings…don’t take them lightly! Let me show you a map of the cave before I go on further, so you can better relate to my experience. The “fun” part was an easy walk – I can’t say that it was actually fun but perhaps when compared to the other sections in the cave, you may see it in this context. The next picture shows the end of the “low & narrow” part which was challenging for my 1.84m tall hubby, who kept bumping his head against the low ceiling. Even I knocked my head several times although I am much shorter and it would have been painful if not for the hard hat! Here he’s about to descend at the “dangerous” section of the cave. Make sure that you hold the handrails as the stairs are quite steep and may be slippery cos of the water dripping from the ceiling throughout the cave. We then had to navigate through a passageway of ice blocks. This next spot was the highlight for me in this cave and the sight kind of made it worth all that effort to get there. Another look at the icicles but do note that it is extremely slippery in this area as there is black ice, dim lighting and puddles of muddy water. I slipped and stepped into one of the puddles and my jeans got stained with mud! I spoke to the guy at the gift shop of the Ice Cave and found out there was a shortcut back to the Wind Cave if you follow the road down, so it only took us 15 min to get back to the 森の駅「風穴」 gift shop at the Wind Cave. As we still had 20 min to kill before our bus arrived, we decided to try one of the specialties of the shop and that was corn flavoured ice cream! We bought 2 cones – one was just a corn flavoured soft swirl ice cream, and the other was a mixed swirl of corn and vanilla. 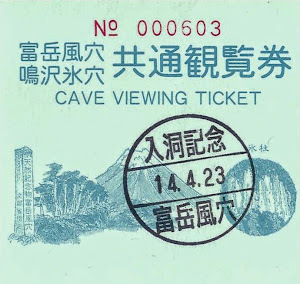 Ohh… before I forget – do look out for this piece of paper if you intend to visit both the Wind and Ice caves. 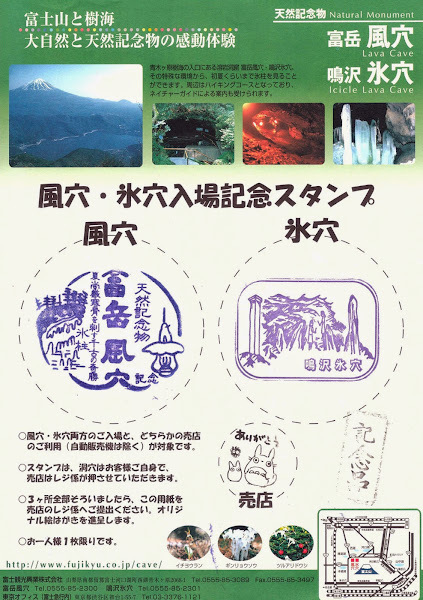 You can use it to collect souvenir ink stamps from each of the caves, then when you’re done, present it at the 森の駅「風穴」 gift shop to collect a free souvenir. Overall, I thought the Ice Cave was much better than the Wind Cave as there wasn’t much to be seen in the latter. However, I wouldn’t recommend young children or senior folks with mobility issues to visit the Ice Cave as it is a little tricky to navigate at certain sections of the cave, plus there are lots of stairs! Be prepared to bend over and walk at a 90 degree angle at some sections or get down and walk like a duck at the low and narrow sections. Wear comfortable covered walking shoes, ensure you have sufficient clothing on to combat the cold temperature but try not to wear your best clothes as you may get mud over them! In addition, do not bring any heavy or bulky items as they will hinder your movement in the cave. We left our backpacks in one of the coin lockers at the Lake Kawaguchiko train station and never regretted our decision to do so as we were then able to move around freely. Wind Cave: 2068-1 Aokigahara, Saiko, Fuji-Kawaguchiko-cho, Minami-Tsuru-gun, Yamanashi 401-0332, Japan. Ice Cave: 8533 Narusawa-mura, Minami-Tsuru-gun, Yamanashi 401-0320, Japan. Last admission is 15 min before closing. Discount Coupons: These can be printed out from their website or you can get hardcopy coupons from the Lake Kawaguchiko Tourist Information Office and other tourist attractions or hotels. However, if you buy the 2-cave ticket option, it costs the same as buying 2 separate tickets for each cave using the discount coupon. 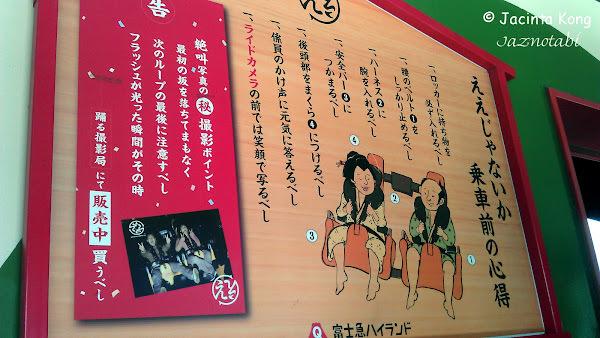 From Lake Kawaguchiko station, take the Retro Bus – Green Line which goes to Lake Saiko. This was the bus schedule when I visited. You may want to get the latest one from the Tourist Information Center at Lake Kawaguchiko. It is cheaper to buy a 2-day Retro bus pass as a single trip will cost about ¥700 per adult. This is the bus stop for the Fugaku Wind Cave. Remember to check the latest bus schedules (on the signboard at the bus stop) when you arrive, so that you can estimate the amount of time which you can spend here and also ensure that you do not miss catching the last bus back. Kachikachiyama Ropeway「カチカチ山ロープウェイ」 is located along the lower eastern part of Lake Kawaguchi and this ropeway takes visitors from Kawaguchiko-han station「河口湖畔駅」 (altitude: 856m) to Fujimidai station「富士見台駅」 (altitude: 1075m) on Mount Tenjo (1104m). The ropeway operates at 5-10 minute intervals and it only takes 3 minutes to get to the top, where visitors can take in the panoramic view of both Mount Fuji and Lake Kawaguchi. Some people consider this to be one of the most breathtaking views in Japan! Autumn foliage can be also seen here along the path of the ropeway from early to mid-November. Cute cartoon-like statues of a Japanese raccoon dog (tanuki) and rabbit (usagi) can be found almost everywhere – from the entrance of the ropeway, on top of the ropeway cars, as well as at the observation deck at Fujimidai station. It wasn’t until I was writing this post and did a little research on these characters that I discovered there is a cruel and gruesome story behind them which is definitely not a kids’ fairytale! Mount Tenjo is the setting of a Japanese folktale “Kachikachiyama” (i.e. Mount Kachikachi or click-click mountain), which the ropeway is named after and in this story, a rabbit seeks revenge (on behalf of an old Japanese couple) on a thieving Japanese raccoon dog by setting him on fire and drowning him in a river. Gosh…and I thought they looked so cute and innocent!! Even the signage here have tanuki and rabbit motifs! There are 2 ropeway cars plying the route and one has a tanuki atop it and the other has a rabbit. I didn’t manage to get a good photo of the ropeway car with the rabbit but you can see parts of it in the picture below. 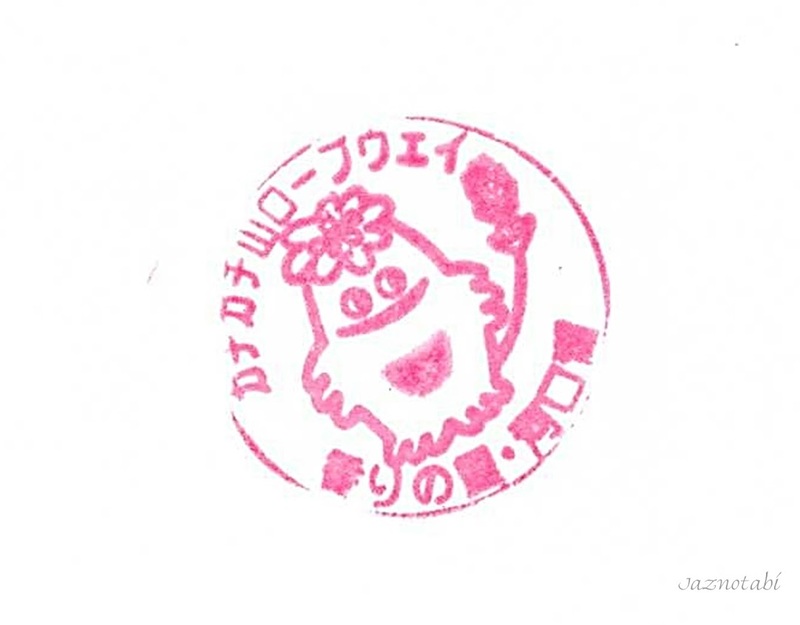 A souvenir ink stamp (free) can be obtained from the arrival/departure platform – all you need is to ensure you have a blank piece of paper with you. Sometimes these tourist spots do provide some paper but it’s good to always carry some in your bag (just in case you want to collect similar ink mementos!). Ok, let’s go check out the view! Wow…we can see almost all of Lake Kawaguchi from here! Information boards on Mt Fuji and the story of Kachikachiyama can be found at the observation deck. On a clear day, you can enjoy breathtaking views of Mt Fuji. I just had to take a panoramic shot! 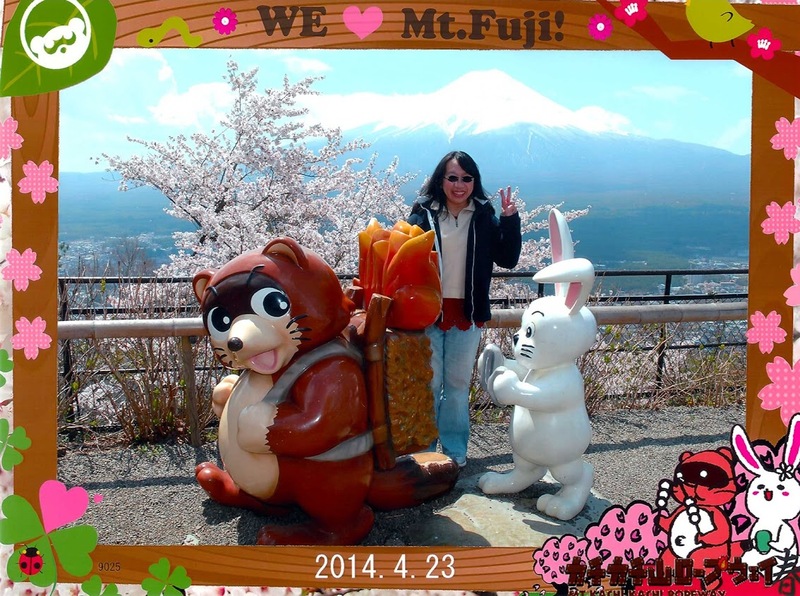 In spring, you can take pictures of Mt Fuji and cherry blossoms in the same shot! Another shot of Mt Fuji and the Fuji-Q Highland theme park can be seen in the direction of 8 o’clock in the photo below. This is the scene from the folktale where the tanuki was carrying some firewood on his back and the rabbit used two stones to start a fire with a click-click sound (i.e. kachi kachi) and when the tanuki asked the rabbit what the sound was, he replied that it was kachikachiyama and that they were so close to the mountain that they could hear it. 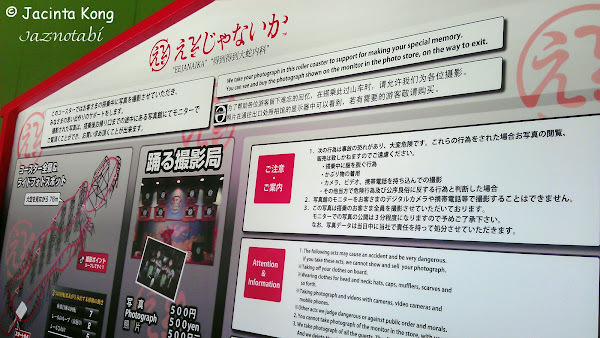 There is a free photo-taking service at this spot and you can get a complimentary postcard with your picture on it. 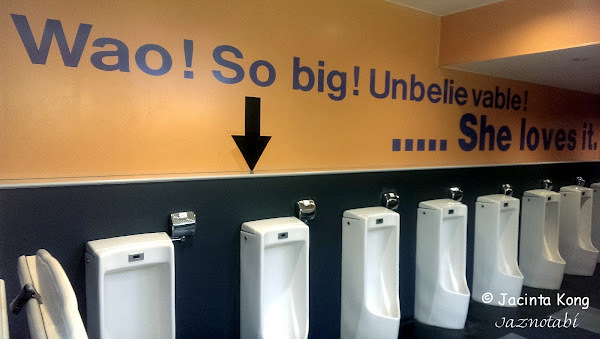 Of course, a bigger (and nicer!) picture is available for purchase at ¥1000 but there is no obligation on your part to buy it. The postcard/photo can be collected at the counter located outside the teahouse/souvenir shop about 10 min after you’ve had your picture taken. …and the bigger photo which can be bought at ¥1000 – which do you think is nicer? Refreshments and some souvenir items can be purchased at Tanuki-Chaya「たぬき茶屋」, which is probably the only refreshment stop on Mt Tenjo. One of the most popular souvenir items at this shop is the Kachikachiyama Senbei「カチカチ山せんべい」, which is a rice cracker snack. …and also chanced upon the Brown-Eared Bulbul (Hypsipetes amaurotis), also known as hiyodori「ヒヨドリ」. Most visitors tend to purchase a round trip ticket for the ropeway but if you can afford to spend more time here, there is a hiking trail from the observation deck down the forested mountain slope, which takes about 45 minutes to get to the bottom. Hydrangeas bloom here from mid-July to early-August so you can see them on the way down. Several other hiking trails also exist and there is a different trail which takes you from the observation point uphill to a small shrine at the summit of Mount Tenjo (10 min), and from there the trail continues on to Mount Mitsutoge「三つ峠山」 (1785m). 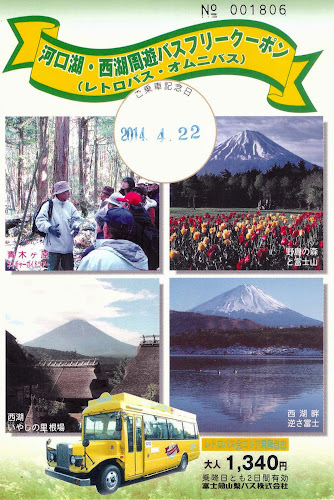 This is a popular day hike (about 3½ hours) with good views of Mount Fuji. 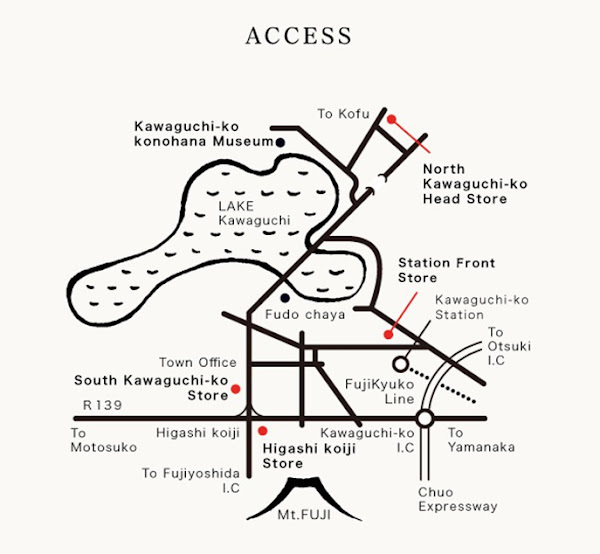 Ask at the Kawaguchiko Tourist Information Centre for a map if you are keen to go hiking. 1163-1 Azagawa, Fujikawaguchiko-machi, Minami-tsuru-gun, Yamanashi, Japan. I usually prefer to check the Japanese websites as they contain more detailed information than their English pages but I guess it depends whether you can understand Japanese (or perhaps use a web translation software?). 10 minutes on foot or 5 minutes by Fujikyu Bus from Kawaguchiko Station「河口湖駅」. Retro buses (Kawaguchiko Sightseeing Bus “Red Line”) depart every 20 mins from Kawaguchiko Station and take between 11-16 min to reach the Sightseeing Boat/Ropeway Entrance bus stop (also called the Yuransen Ropeway Iriguchi bus stop 遊 覧 船・ロ ー プ ウ ェ イ 入 口). 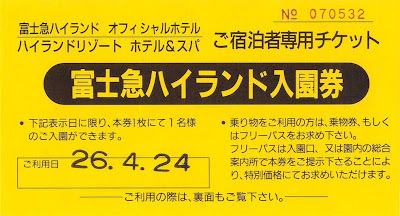 A 2-day pass for the Kawaguchiko Line (i.e. 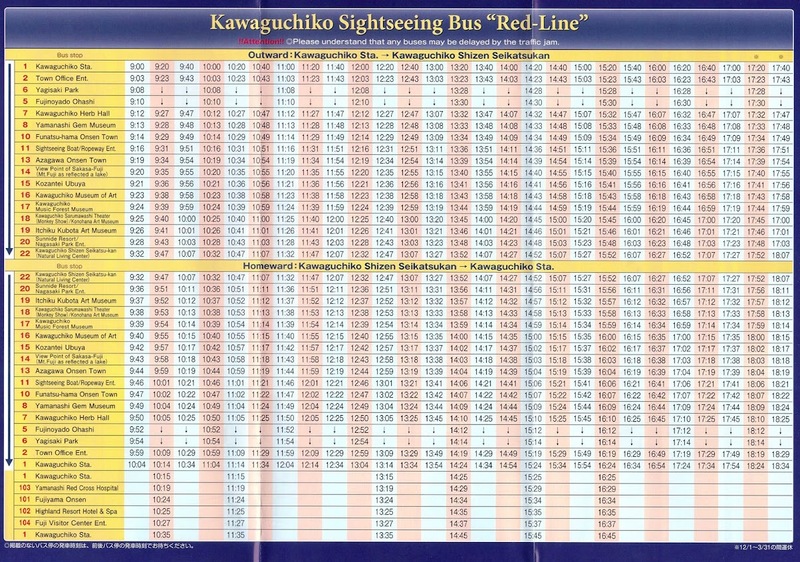 Red Line) is available for ¥1030, while a 2-day pass for all Retro buses (both Red and Green Lines) costs ¥1340. 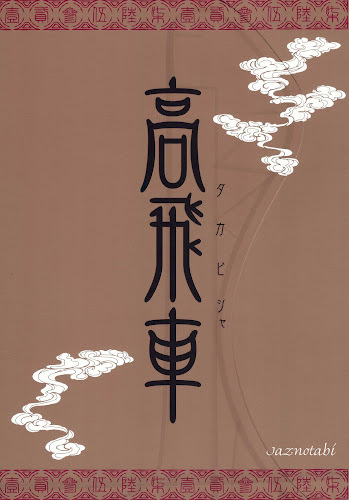 Houtou or Hōtō 「ほうとう」 is a popular noodle hotpot dish (nabemono), which is local to Yamanashi Prefecture in Japan. You can find this local specialty around the Fuji 5 Lakes region at specialized restaurants, hotels, ryokan and other eating establishments. This dish is often served in an iron pot and its soup is traditionally a miso based broth with pumpkin and other seasonal vegetables added. In addition, the noodles in the soup resemble extra thick udon noodles and they are chewier too! Apparently, in the early days the locals tried to popularize hōtō as a tourist food by advertising it as the meal consumed by Takeda Shingen, the regional warlord during the era of warring states, and his samurai soldiers before going into battle. I had previously seen hōtō being featured in one of the Japanese travel programmes on TV and as I had planned a short trip to Lake Kawaguchi, I made it a point to go try this hotpot. There are several restaurants which serve this dish but I was on a tight schedule and couldn’t afford to spend too much time travelling around for food, thus I picked the most convenient restaurant to get to, which is located directly opposite from the train and bus stations. The exterior of the restaurant is covered with wooden panelling which makes it look like one of those traditional Japanese houses. 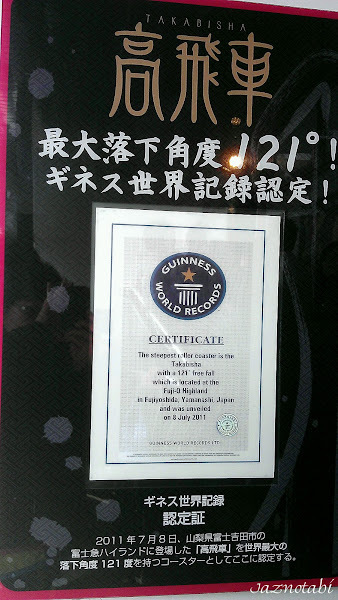 The restaurant was quite full and we had to share a table with two Japanese ladies. We then placed our orders for the Houtou noodles (¥1080 per serving, inclusive of tax) and the table was set as per the picture below. That squarish metal thingy is similar to a trivet, on which the hot iron pot will be placed on. Wow…the serving looks quite big and I noticed that the 2 Japanese ladies who were seated next to us were unable to finish them. Most diners had ordered one pot of noodles each and we had followed suit. Do be careful as the iron pot is hot and from the signs found at each table, you have already been warned! The next photo will give you an idea of how big the iron pot is – you can either eat directly from the pot or transfer the noodles into the smaller bowl which is provided. I must say that the noodles were delicious and the soup was a hearty broth which really warms your heart as well as stomach! The ingredients were very fresh and the pumpkin soup had a nice consistency which was neither too thick nor watery. Believe it or not, I managed to finish everything! Yes, it was THAT good!! When you are ready to make your payment, bring the bill that was placed faced down on your table, to the cashier counter. The restaurant also sells some local foodstuffs from around the region which you can purchase as souvenirs. If you are planning to dine here in the evenings or after 4pm on a weekday, please phone ahead to confirm the restaurant’s closing time as they will usually close shop when the noodles run out. It takes half a minute to walk across to the restaurant from the Kawaguchiko train and bus stations. From Shinjuku take the JR Chuo Line「中央線」, change at Otsuki station「大月駅」 to the Fujikyu Railway「富士急行線」 to Kawaguchiko Station「河口湖駅」, which is the final stop. There are 3 other branches of this restaurant besides the one which I visited. North Kawaguchiko Head Store – 10 min by taxi from Kawaguchiko station. South Kawaguchiko Store – 5 min by taxi from Kawaguchiko station. Higashi Koiji Store – 8 min by taxi from Kawaguchiko station. If you are feeling adventurous, you can choose to visit this branch of the restaurant as it is housed in a specially designed building which resembles a cloud (I personally think it looks like an igloo! ).